It’s not all that unusual for grandparents to raise their grandchildren instead of the children's parents. However, the rights that grandparents have when it comes to custody of their grandchildren can vary depending on the state where they live and the family circumstances that cause them to seek custody. In some jurisdictions, state legislatures have yet to address the issue of grandparent custody rights, which means it’s up to the courts to decide. Alaska, for example, has no laws that establish legal custody rights for grandparents. Instead, the Alaska Supreme Court applies the same principles to grandparent custody cases that it does to all cases in that a parent is always given preference over a nonparent. As a result, grandparents can only obtain custody of their grandchildren when they are able to convince the court the parent is unfit to have custody or the children's welfare is in danger because of a parent. A state court may evaluate custody rights using similar concepts as Alaska, but there are jurisdictions, such as Arizona, that will then look to the relationship between the grandparent and grandchild to discern if granting custody to a grandparent is in the best interest of the child. Arizona statutes include a provision that uses the concept of “Loco Parentis” to decide custody issues. This means that if a grandparent were to seek custody of her grandchildren in Arizona, one of the things she must show is that her grandchildren treat her like a parent, meaning she takes on a typical parental role rather than just visiting with them on the holidays. This is only one of many requirements a grandparent needs to satisfy before a court will award her custody; severe circumstances must exist to warrant removal of a child from his parent’s home, or if the parents aren't living, from the home of the child's current guardian. There are states that provide grandparents partial custody of their grandchildren, meaning they can obtain some, but not all, of the legal rights that are typically held by parents. Texas provides a good example of this custody alternative with its managing conservatorship laws. Managing conservatorship provides a grandparent with certain authority to make decisions related to a grandchild’s upbringing. However, Texas requires that a grandparent have actual care, control and possession over his grandchild for at least six months; the end of the six-month period must be within 90 days from the date the court intervenes. Alternatively, a grandparent can seek custody of his grandchild with the consent of the child's parents or if he's able to show the child’s welfare is in danger. The most common type of custody awarded to grandparents in Florida is informal/physical custody, whereby the child lives with the grandparents, but the grandparents can't make legal decisions for the child -- and the parents can take the child back at any time. 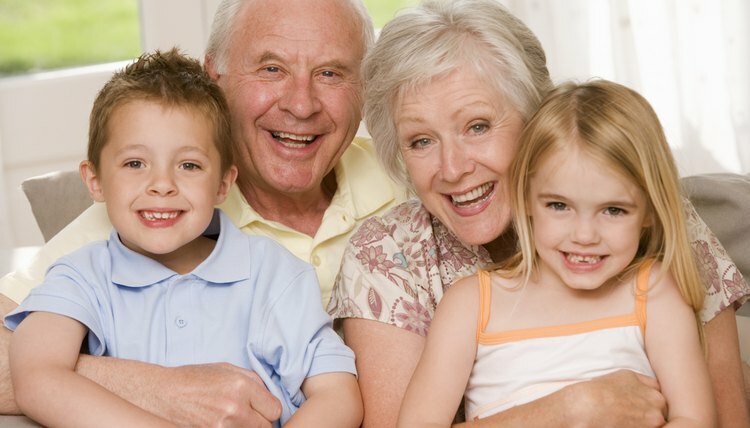 Another custody option for grandparents in Florida is temporary custody. This type of custody is legal custody, meaning the parents can't revoke it. However, it is only granted for a specific amount of time, possibly until the child turns 18. When Florida courts allow for this type of custodial arrangement, the resulting custody order outlines the types of legal decisions the grandparents can make. Generally, a parent who does not have primary custody of his child will pay support to the parent who does. However, sometimes children spend more overnights with their noncustodial parent. This requires modification of the existing custody order to reflect the actual custody arrangement. After that happens, the court can recalculate child support, or even eliminate it, if there is only one child and that child went to live with the parent who formerly did not have custody.